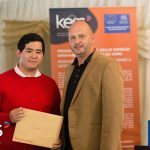 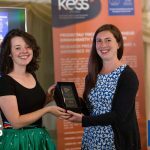 On Thursday 27th July at the National Botanic Garden of Wales, ESF funded project KESS 2 presented awards to three competition winners during an engaging evening of live Presentations and an exhibition of Research Images, titled ‘Making Waves’. 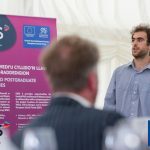 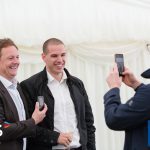 The event, attended by students, companies and academics, showcased just some of the ongoing EU funded research projects currently taking place in Wales as part of the Welsh Government supported programme. 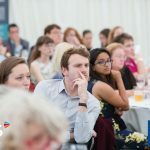 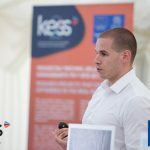 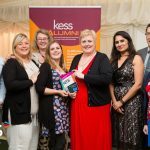 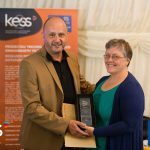 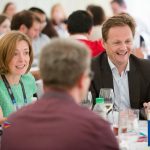 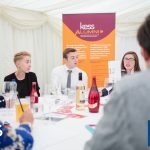 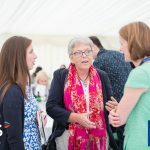 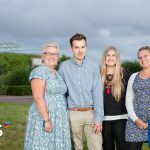 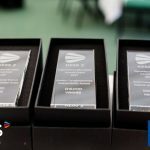 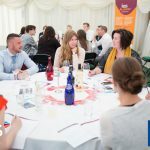 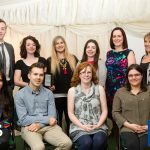 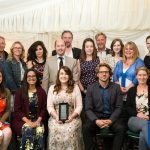 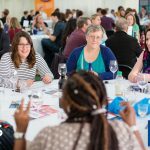 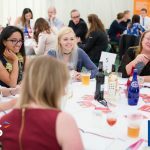 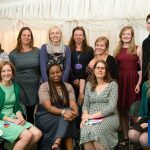 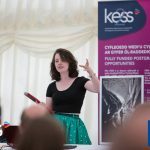 By bringing together project participants from across Wales, the KESS 2 Awards evening highlighted the diverse range of research being undertaken throughout the Convergence Area. 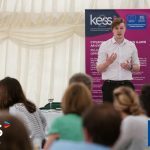 Every KESS 2 project forges connections between business and academia and the event, which will run annually, brought the opportunity for each of these groups to connect, discuss and celebrate their ongoing research projects. 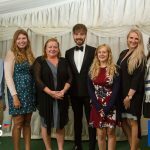 Anne Collis, Rhiannon Chalmers-Brown and Olivia Howells were the three award winners of the evening. 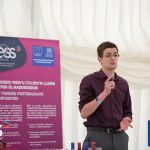 The evening was structured around a series of eight ‘Three Minute Thesis’ presentations by students who had accepted the challenge to present their research projects within a strict 3 minute window. 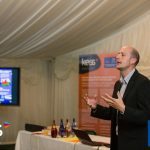 Each presentation was judged on the night by the audience based on a criteria of delivery, clarity, engagement and evidence of collaboration. 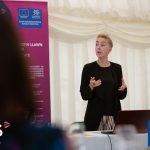 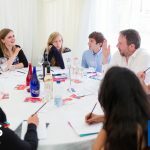 An additional criteria was judged separately by Dr Einir Young and Dr Gwenith Elias of The Sustainability Lab at Bangor University, based on how well each presentation addressed the ‘Well-being of Future Generations Act’ (2015). 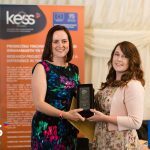 Anne Collis, a Bangor University KESS 2 PhD student in partnership with Barod, was the overall winner for her excellent presentation, whilst Rhiannon Chalmers-Brown, a KESS 2 PhD student from the University of South Wales in partnership with TATA Steel, was awarded The Sustainability Award. 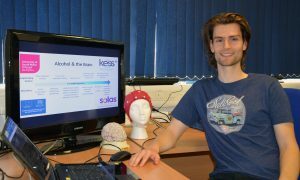 The event also saw the introduction of the first KESS 2 Research Images competition following the theme ‘Making Waves’. 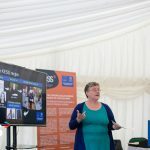 The image competition, encouraging students to communicate their research through a visual medium, was judged externally by Sian Tomos (Director of Enterprise & Regeneration, The Arts Council of Wales), Alison Mitchell (Director of Development, Vitae), and Vince Jones (Whole Picture Productions). 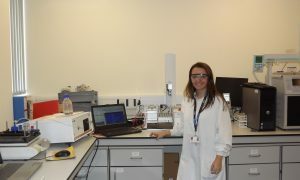 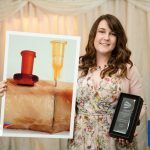 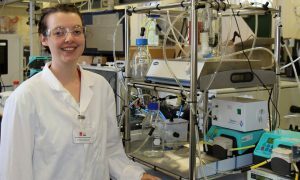 Olivia Howells, KESS 2 PhD student from Swansea University in partnership with BIOMEMS Technology Ltd, was awarded the prize for the Best Research Image. 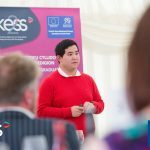 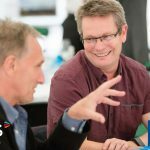 Knowledge Economy Skills Scholarships (KESS 2) links companies and organisations with academic expertise to undertake research projects that meet the needs of an active business or its sector. 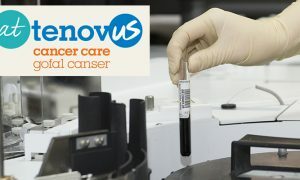 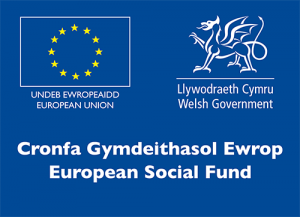 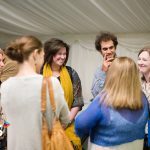 KESS 2 is a collaborative project supported by European Social Funds (ESF) through the Welsh Government involving all universities in Wales, led by Bangor University.